Information made available to huhuonline.com revealed that Saturday October 3, 2009 hundreds of fighters loyal to two Niger Delta rebel leaders surrendered their weapons and accepted an amnesty deal after years of fighting in the creeks of oil- producing Niger Delta, (South-South) Nigeria. Militant commanders Ateke Tom and Farah Dagogo, whose fighters have mounted many of the attacks in Niger Delta, led gunmen from camps in the mangrove creeks of the Niger Delta to the River state capital, Port Harcourt, southern Nigeria. President Umaru Musa Yar'Adua has offered all gunmen in Delta an unconditional pardon if they surrender their weapons by Sunday (October 4) being deadline for the amnesty offer provided the Nigeria's Federal government. 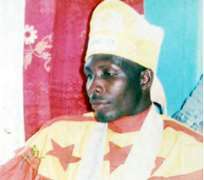 Government Tompolo, who commands thousands of fighters in the Niger Delta, is the last known militant commander with links to Movement for the Emancipation of the Niger Delta (MEND) who has yet to surrender. Presidential adviser Timi Alaibe said Tompolo was expected to disarm on Sunday, after meeting with President Yar'Adua.MEND, who has been responsible for attacks that have wrought havoc in Niger Delta for over the last three years, said on Thursday, October 1 that it has encouraged Tom, Dagogo and other commanders to step aside for the safety of their families. Defence Minister, Mr. Godwin Abbe warned militants that they would be in breach of the law if they fail to hand over their weapons before Sunday's deadline. "We have laws. Those who fail to surrender would have committed an offence against the laws of the country and the law will take its course," Abbe said. Thus corroborating Huhuonline.com previous report that while waiting for the cease fire with MEND to run out, the President has given the go-ahead for the army to procure two Israeli Shaldag MK-2 patrol boats to patrol the Niger Delta and prevent attacks on oil platforms on the high seas. Huhuonline.com learnt from Nigerian Defense Intelligence sources that the first armed corvette vessel has already been delivered to the Joint Task Force (JTF) and the second is on the way. About 80 Nigerian seamen are presently being trained on terrorism and counter-insurgency operations at the northern Israeli port city of Haifa. Huhuonline.com also reported that the Nigerian Navy bought six Manta-class offshore patrol vessels from Malaysia and Singapore last year. The Navy requested and procured 35 new machine-gun equipped fast patrol boats, which, on the instructions of the Presidency, were paid for by the Nigerian National Petroleum Corporation (NNPC). The first consignment of two 38 meter Manta-class patrol boats built by the Nautica Nova Shipbuilding yard in Malaysia and fully financed by NNPC have already been delivered to the Navy. Defense ministry sources told Huhuonline.com that another four 17 meter Manta-class patrol boats from Singapore Technologies Marine have also been delivered while talks are currently underway with French and British shipyards. Huhuonline.com understands that France's DCNS (Direction des Constructions Navales Services) - a naval defence company and one of Europe's leading shipbuilders - had long hoped to sell Nigeria several of its small Gowind-class corvettes for a total cost of $800 million. In its bid the French shipyard was backed by France's procurement agency, Délégation Générale pour l'Armement (DGA), which sent several lobbyists to Abuja last year. But the proactive Israeli lobby in Aso Rock prevailed on the President and Israeli Shipyards were chosen to supply the patrol vessels, which are reportedly less costly but also considerably smaller (24.8m) and hence easier to operate in the Delta creeks than the French patrol boats. Since the early 2000s Israel has drawn closer to Nigeria. Before he was named head of Mossad, Israel's foreign intelligence agency, in 2002, Meir Dagan visited Nigeria prospecting on behalf of several Israeli defense companies. Huhuonline.com checks reveal that in 2006, Israel's Aeronautics Defense Systems (ADS) signed an agreement with then-president Olusegun Obasanjo to install a surveillance system for the Delta and Nigeria's territorial waters with Aerostar unmanned aerial vehicles (UAVs) and unmanned Seastar vessels. The Israeli daily Haaretz's revelation of the contract negotiated without the authorization of Israel's defense ministry resulted in its cancellation, and the Nigerian defense ministry lost money that had been advanced to ADS. In addition to Shaldag patrol boats, the Nigerian Navy has acquired 20 troop-carrying catamarans from the Dutch yard TP Marine. To conduct effective operations in the Delta, the armed forces will need to quickly dispatch soldiers up creeks and rivers in the area. The catamarans are aimed at measuring up to MEND's outboard vessels. They will be operated by the Joint Task Force, an inter-service unit in charge of operations in the Niger Delta. One strategic advantage of the JTF over the Niger Delta militants is air superiority. The Air Force has indeed ordered four Agusta A109E helicopters as well as Russian MI-24 and MI-34 helicopters. The Italian Agustas haven't yet arrived, but sources told Huhuonline.com that the Russian aircraft were delivered just before Russian president Dimitri Medvedev's visit last June. However, an Air Force source told Huhuonline.com that Nigerian pilots are having trouble getting used to the large and highly sophisticated helicopters and only Russian instructors sent to Nigeria are able to fly them at present; raising the grim prospects that Russian pilots might be called upon to take part in the planned attack. The rest of the Nigerian military's helicopter fleet, consisting mainly of Super Pumas made by Eurocopter; Super Lynx's (AgustaWestland) and Russian MI-35s, are not in flying condition at present. President Yar'adua has directed the Air Force to call on its Western partners to recondition them with new rotor blades. Once renovated they will be able to intervene in the Niger Delta in tandem with the new Nigerian patrol boats. The offer was one of the most serious attempts yet to stem unrest which has prevented Nigeria from producing much more than two-thirds of its oil capacity, costing it billions of dollars a year in lost revenue. "Today I disarm and I urge others who are yet to do so to also disarm," Tom said at a ceremony in Port Harcourt attended by government and military officials. "I believe Yar'Adua is sincere. He wants to develop the Niger Delta, so let's give him a chance." Hundreds of Tom's supporters marched through Port Harcourt chanting, drinking whisky and gin and brandishing their weapons while residents and security forces lined the streets to watch. "It is not proper for us to be in the bush. We cannot enjoy our lives. So I am happy today,"But it is not easy to stop. The government must empower the boys, allocate them to a job not just give them money. Train them, give them skills or else we will go back to the creeks," said Wisdom Aziza, who said he had fought in the creeks for four years. Fellow militant leader Farah Dagogo was expected to follow Tom's example and disarm later on today. "The two are doing it simultaneously. At the same time, Farah is at the State Security Service headquarters in Port Harcourt disarming," Blessing Nwikina, spokesman for Rivers State Governor Rotimi Amaechi said.